Bomb your way through hordes of enemies to face the Gunslinger. Wear the poncho of the Bombslinger, a former ruthless bandit turned rancher, as he sets out on a journey to avenge the brutal murder of his wife. Bomb your way through hordes of enemies, defeat your former posse and get to the final showdown with its leader, the Gunslinger. 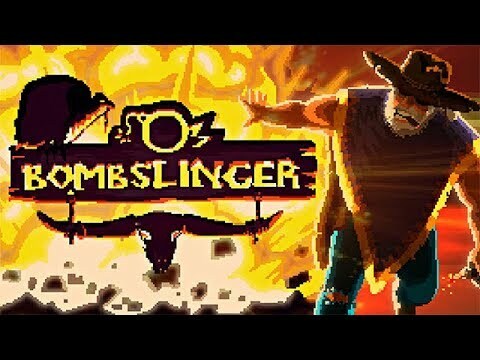 Featuring explosive Bomberman-inspired single and multi-player gameplay, procedurally-generated levels and tons of items make each play unique, Bombslinger is a wild Spaghetti Western adventure. Hunt for clues and interrogate the witnesses and suspects of Paper City. Unwind as you wander surreal environments that beckon you to explore.